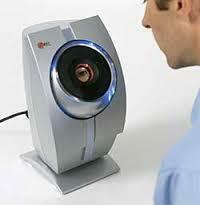 According to the requirements of our customers, we are engaged in offering Retina Access Control System. Swathy has partnered with Iritech, Inc. to provide iris recognition technology based products to cater to e-governance and various other projects. - Highly advanced iris recognition system. - Very high recognition speed. iRIS is a efficient healthcare processes used by radiologists to manipulate patient radiological data which supports all phases of your radiology workflow. - Browser based application, which can be accessed from anywhere and the access will be restricted with user login. - No individual workstation installation.